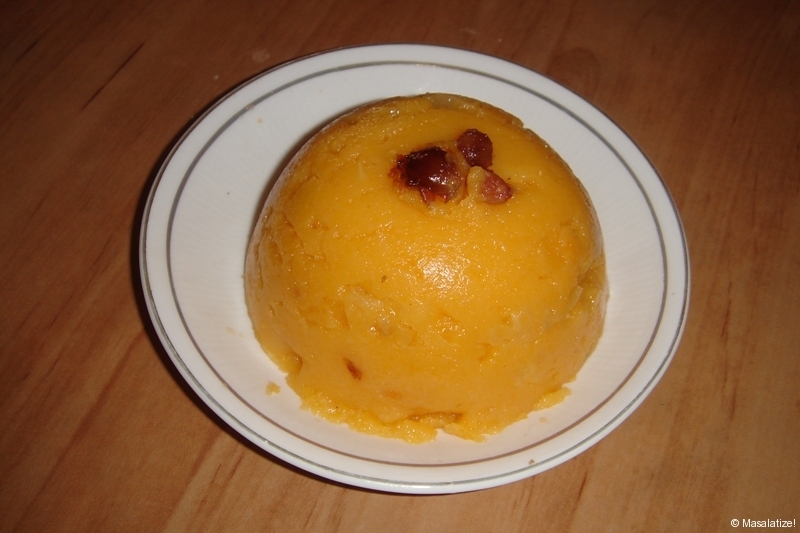 Suji is a simple sweet dish which can be prepared in 40 minutes. 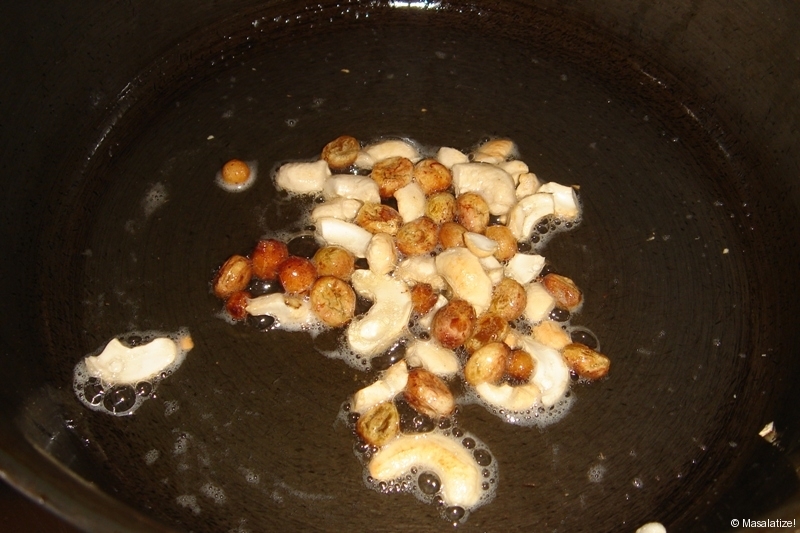 Heat ghee in a pan, add cashews,raisins and fry till light brown. Remove from heat and set aside.In the same pan, add suji and fry till light brown. Mix well and keep aside. 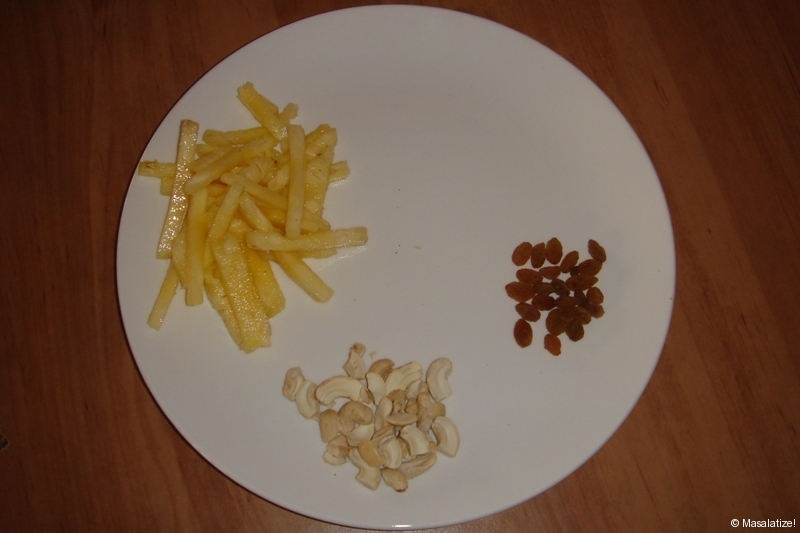 Boil the water in a sauce pan, add pineapple pieces and cook till soft. 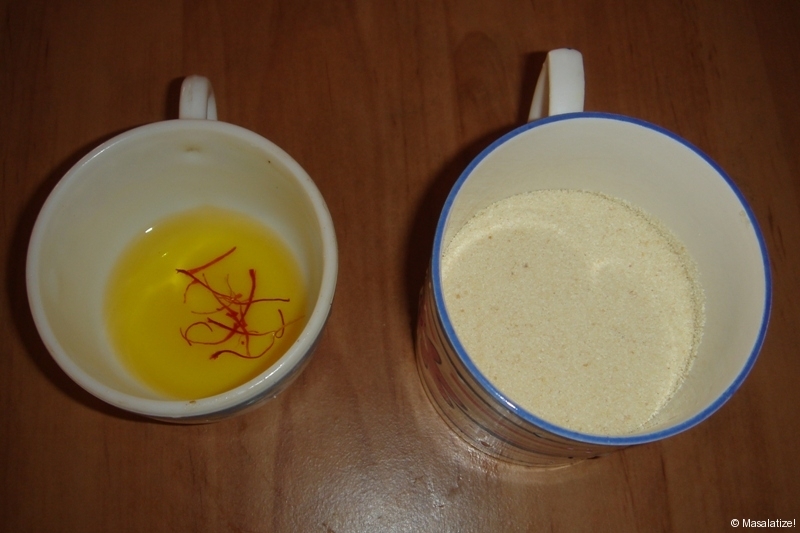 In a pan boil milk or (milk and water).Now add Sugar,Saffron and stir well.Add the cashews,raisins and the suji. Stir well. Reduce heat. Add the boiled pineapples. Close the lid and let it cook for 10 mins.Finally add powdered Cardamom.